A really exciting way to tackle the waves and waves of sexual harassment allegations coming out of Hollywood would have been to have a woman host the Golden Globes. 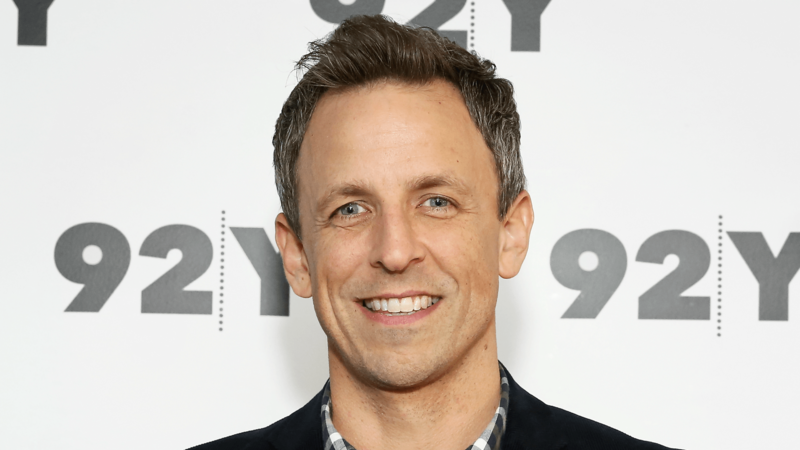 But don’t worry, everyone — Seth Meyers is ready to take on the subject when he hosts the ceremony on Jan. 7. Don’t get us wrong. Meyers will be a good host. He’s funny. He’s smart. He’s progressive. He’ll probably do his best to amplify the voices of the hundreds of women and men who have come forward to topple the careers of serial abusers, including Harvey Weinstein, Kevin Spacey, Mark Schwahn, Brett Ratner, Russell Simmons and Louis C.K. In his promo for the show, Meyers hints that he’s going to have something to say about this year’s revelations about Hollywood’s culture of largely gendered toxicity. “We’ve got a lot to talk about,” he says in the promo. Yeah, OK. He’s not wrong. There’s plenty to talk about. But come on; is a man really who we need leading that conversation? This movement has been driven mostly by the brave women who have come forward and forced us to finally listen to their voices. There is no room here for men who’ve never experienced this kind of harassment to weigh in. We’ve learned that over and over from guys like Ben Affleck and Matt Damon, who continue to try to share their thoughts in the most tone-deaf ways. This is a conversation for women to lead. So why wasn’t this platform given to a woman? At least women are finally being heard. But this is proof that men’s voices can still drown us out and that we have a lot more work to do.